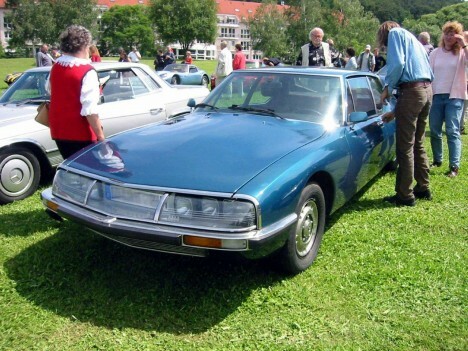 The Citroen SM was more than a mere vanity project for the Citroen company, with sales for the Citroen Ds reaching record sales, the executives of Citroen saw a golden opportunity to capitalize on the runaway success that the DS had enjoyed and wanted to appeal to a wider market: in particular the sports car market. With various competitors all releasing very powerful and cost effective sports cars, Citroen quickly realized that their comfortable market position would soon come under fire if they were not able to meet the standards achieved by their competitors. The strategy was as cunning as it was simple, the a coupe version of the DS would be made, with a level of sales already guaranteed as a result of the sterling reputation already enjoyed by the DS. In reality however the Citroen SM ended up becoming the great success story in of itself and quickly earned itself the honour of being the poster child for the Citroen company. Another shining example of the exemplary engineering and designing of the Citroen SM was that whilst it was of itself based on existing technology, it was subsequently reutilized for the launch of the Citroen CX. The publicity and status of the Citroen SM was quickly becoming of something akin to legendary proportions when in 1971 (coincidentally the same year in which the SM was actually released for sale to the general public) the Citroen SM won the infamous Morocco Rally. One of the greatest successes that the Citroen SM managed to achieve was the remarkable balancing between function and form, with a specially crafted aerodynamic design that is still lauded even to this day for its innovation and creativity. In 1999 British Petroleum actually featured a Citroen SM in one of their adverts with the emphasis being on a “futuristic car”. There were a few reasons that helped to contribute to this, during the testing stage of the car a great deal of time and money was devoted solely to wind tunnel testing and this was used as a guide to locate the various components of the car in the most ideal positions. The delicate balance between aesthetic value and effiency was most closely identifiable in the actual choice and quality of the materials actually used to create the car. The leading engineer responsible for the creation and design of the Citroen SM, Robert Opron came from an impressive background which included a long stint with aircraft. It was this practical hands on experience that influenced Opron for the various materials to create the Citroen SM, with the emphasis always being firmly upon a quality performance. The bonnet of the Citroen SM was notable for its use of aluminum that was of sufficient quality to construct an airplane. The Citroen SM was also a technological masterpiece using technology that is only now becoming common place nowadays. One of the more simplistic examples was the unique wiper system which was sensitive to the ambient temperature and pressure in the air allowing it to effectively detect rain and act accordingly.